Ask Vicki: What should I do after I apply to a job? In this answer on Quora, Monster career expert Vicki Salemi explains how to increase your chances of hearing from companies once you apply to jobs. 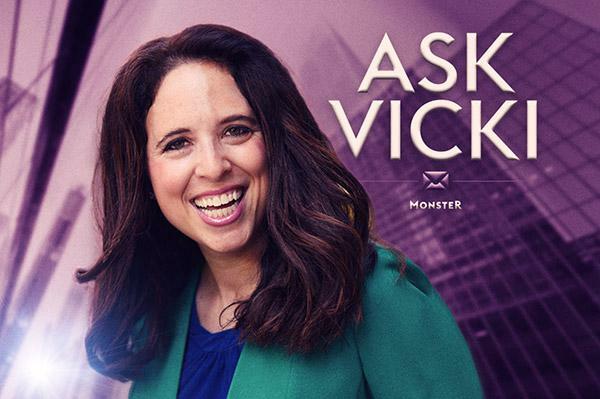 Monster’s career expert Vicki Salemi—a former recruiter who utilizes 15-plus years of experience in recruiting and human resources to empower job seekers—answers user questions on Quora. We’ll be republishing the answers here. Q. What should I do after I apply to a job? A. After you apply to a job, you should apply to more jobs! Seriously. Many applicants overlook awesome jobs because they may not totally and completely love what they see in a job description. But here’s the thing: Even if you just kind of like what you see, you should apply. Let’s say a company asks you for a phone interview—you’ve got nothing to lose. If you ace the phone interview, why not go on an office interview just for practice? You may start embracing the possibilities. And if you don’t like what you see in person, at least it was an opportunity to get more specific with what you do want from an employer, as well as interview practice. This doesn’t mean you should apply to jobs that don’t seem to be the right fit for you; don’t apply to 10 jobs just for the heck of it, but if you see two awesome ones and five pretty good ones at reputable companies, definitely apply to all seven. In addition, keep your job search in motion. After you apply, follow the companies on social media and stay abreast of what’s going on with them in the news. Stay focused; keep your eye on the prize! You’ve got this. So yes, applying to more jobs you're into is a worthwhile way to spend your time while waiting for a company to call you in for an interview. Another thing you can do is improve your resume, which can, in turn, improve your chances of getting called in for interviews. Want some help with that? Get a free resume evaluation today from the experts at Monster's Resume Writing Service. You'll get detailed feedback in two business days, including a review of your resume's appearance and content, and a prediction of a recruiter's first impression. Boost your chances of success! Read Vicki Salemi's answer to "What should I do after I apply to a job?" on Quora.